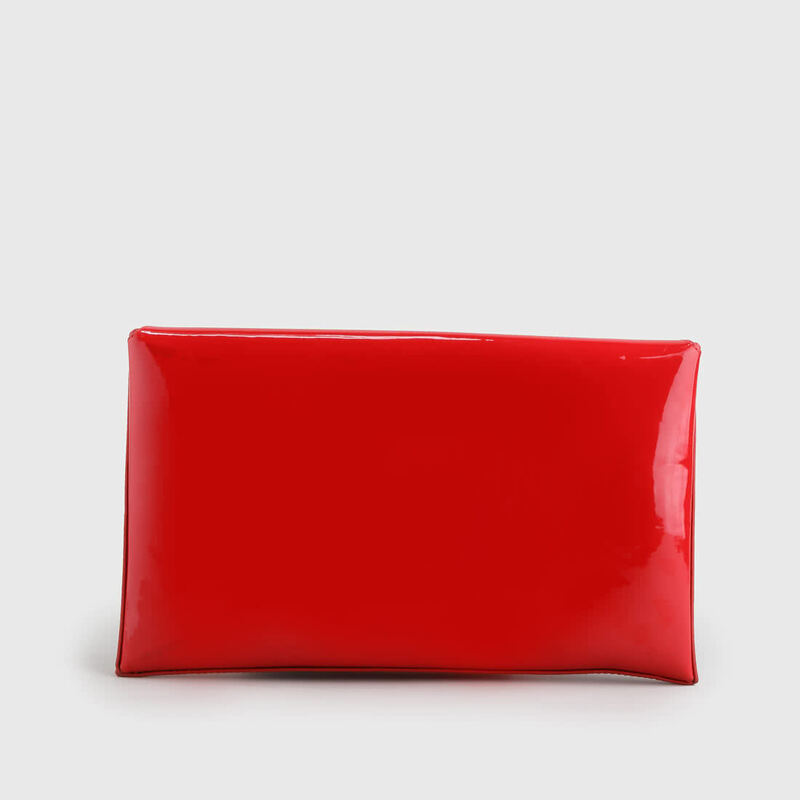 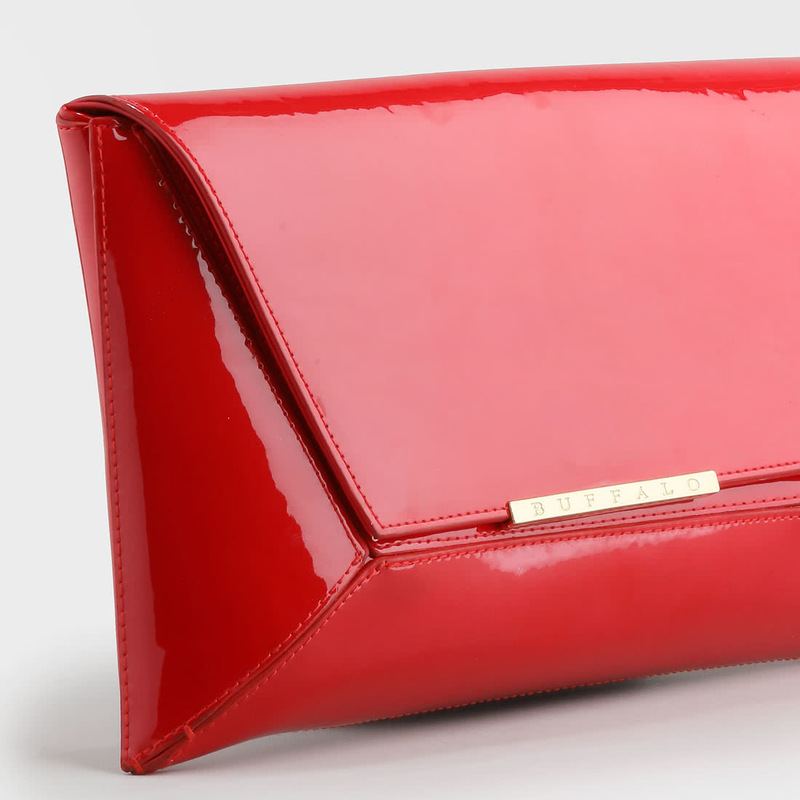 Turn your outfit into a true eyecatcher featuring this Buffalo clutch Bigin scarlet red. 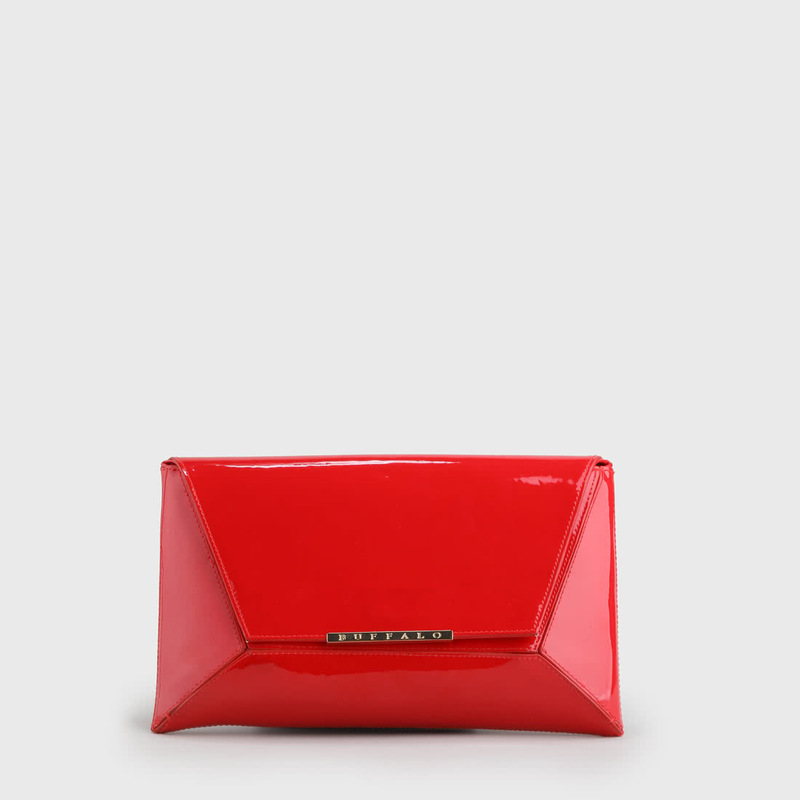 The design combines a trendy envelope shape with a shiny wet-look finish and golden hardware. 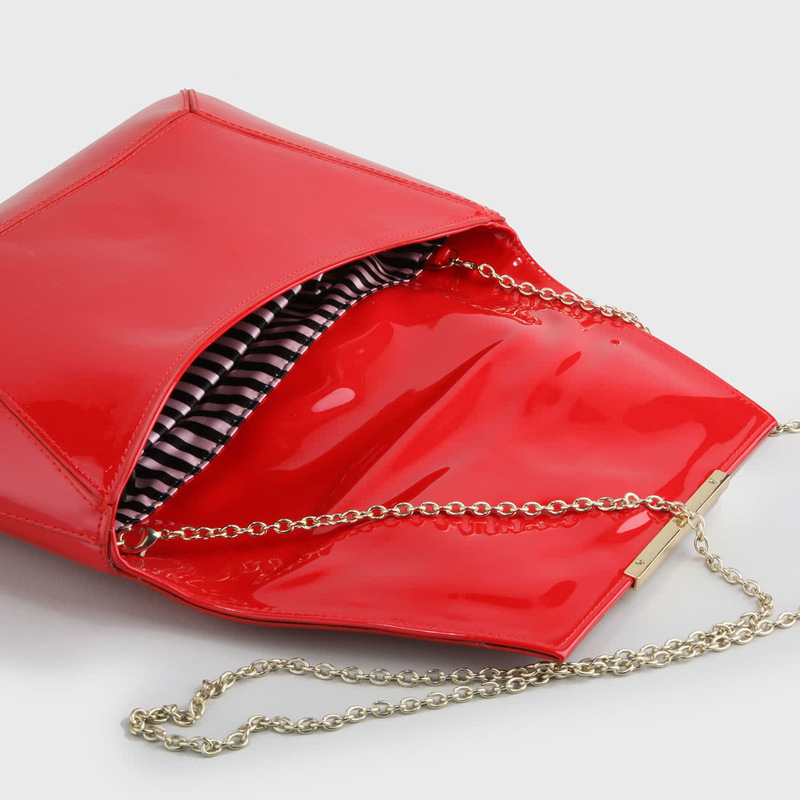 With the detachable chain strap the clutch can be worn as a shoulder bag too.